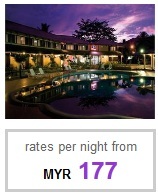 Pangkor Island Beach Resort 4.3 out of 5 based on 23 votes. 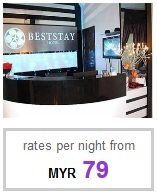 Save Up From 30% - 70% Check Now ! 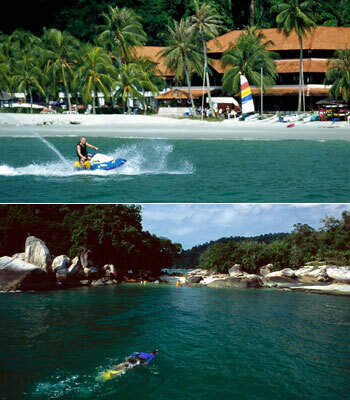 Pangkor Island Beach Resort is an authentic gem on the West Coast of Peninsular Malaysia, the perfect retreat from the city life to relax, chill out and revitalize. 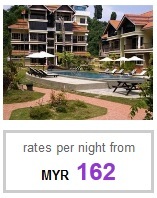 Situated on an well preserved tropical island of Pangkor ,this popular Pangkor Island resort is surrounded by 73 acres of lavish rainforest, incredible land as well as marine life. 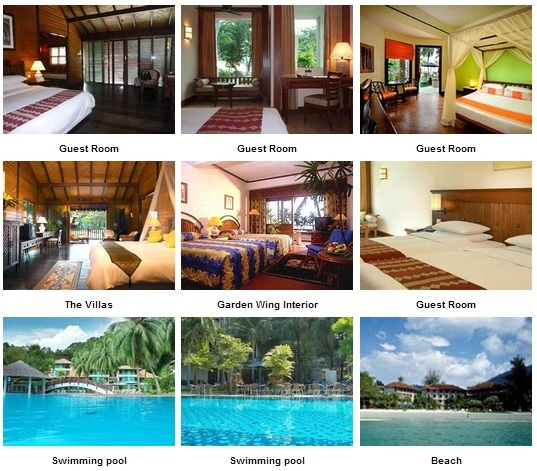 It gives you 1.2 km of white sandy beach with appealing emerald green sea. This recently renovated 258 rooms resort in attractive low rise Malay-style design structures are divided into the premier Ocean Wing, Garden Wing and Pacific Wing. The newly remodeled cottages is best example of a traditional Malay village, positioned on one end of the bay along the slope covered with tropical forest. 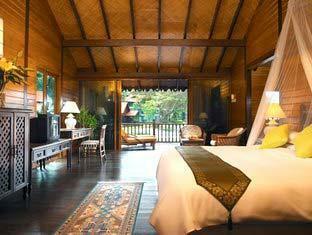 This presents beautiful sea view as the sea is just infront of the villa's doorstep. 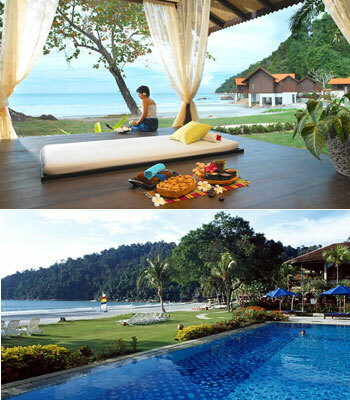 Whilst relaxation is the excellent objective at the resort, guests could enjoy numerous water sports like jet skiing, boat riding, sea fishing and land activities such as jungle trekking and motorcycling.The restaurant in the hotel serves a assortment of local as well as international delicacies, such as Malaysian, Asian and Western culinary delights, complemented with exotic tropical cocktails. With the ideal setting of the resort, the Ballroom is located on the ground level to host gala dinners, meetings,as well as theme events from 40 to 200 banquet style. In addition, it is best to have well-deserved cocktail or BBQ Dinner at the open air beach, with cool breeze, lapping waves, cool breeze and stunning sunset.